Jatin Varma, a comic book fan who organized CCI through his company Twenty Onwards Media, said that the event’s aim was to create a stronger comic culture and bring Indian comic nerds under one roof for the first time. He said that the main obstacle is the lack of identity for the Indian geek, and the goal now is to establish what sets Indians apart in the world of comics. 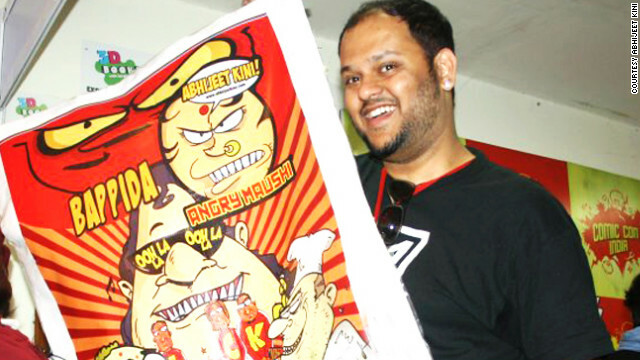 Kini, who released his graphic novel “Chairman Meow and the Protectors of the Proletariat” at CCI this year, said that although it provides a venue for Indian geeks to be free, there is a still a bit of hesitation among fans. Both Varma and Kini said that activities like cosplay and reading comic books are still associated with children in India. In fact, according to Varma, the sponsors for CCI are by and large targeting kids younger than 16 because they are considered the biggest market. Not long ago this was the situation for American geeks and nerds, as well, according to Jason Tocci, a writer, designer and researcher who wrote his doctoral dissertation at the University of Pennsylvania on geek culture and identity. Tocci, who also examined the evolution of geek and nerd labels, said that this “legitimacy” in the United States came from the rise of developed geek communities and the mainstreaming of certain elements. He found that pockets of geek culture have existed for years, though it is only recently that the term “geek,” once used as an insult, is now being reclaimed by the group. Some Indian comic book artists are also feeling the lack of recognition and regard for the work they do. Harsho Mohan Chattoraj, a graphic novelist and illustrator, said that Indian society remembers comic book pioneers like Anant Pai, creator of “Amar Chitra Katha” (or Immortal Picture Stories, a series of Indian fable and mythology comics), and Pran, creator of Chacha Chaudhary (Uncle Chaudhary, an old man who uses his wits to fight crime) from the 1960s. But it is not as fully aware of its present comic artists and graphic novelists. Kini said he always knew he wanted to be part of the comic book world. He grew up reading popular Indian comics like “Tinkle,” a children’s magazine which features characters like a bumbling hunter called Shikari Shambu. Kini has produced a respectable body of work, but to anyone besides his family and friends, his occupation is still viewed as more of a hobby. That’s why gatherings like conventions are important, Tocci said, because conversations happen, new fans are made, and those not in the community gain a better understanding. That’s the purpose of CCI, according to Varma, and his ultimate goal is to set up more places like comic book stores for Indian geeks to unite and for comic book artists, writers and graphic novelists to thrive. Thanks to all you funny guys and gals who have turned up to eaenrttin and amuse us and Super Special Thanks to those of you who were not so funny, and yes I am mainly talking about the crowd at this point. Based on the last three shows I can only foresee this picking up over the next few weeks. i've always been a big fan of raj comics and it's characters like nagraj, dhruv &doga. they have huge potential for growth in Indian market but we need to put some efforts for that. Indian mentality that comics are only for kids should be changed. You really make it appear really easy along with your presentation but I in finding this topic to be really one thing that I think I would by no means understand. It sort of feels too complicated and extremely extensive for me. I'm having a look forward for your next publish, I will attempt to get the hold of it! You could definitely see your expertise within the paintings you write. The sector hopes for more passionate writers like you who aren't afraid to mention how they believe. Always go after your heart.